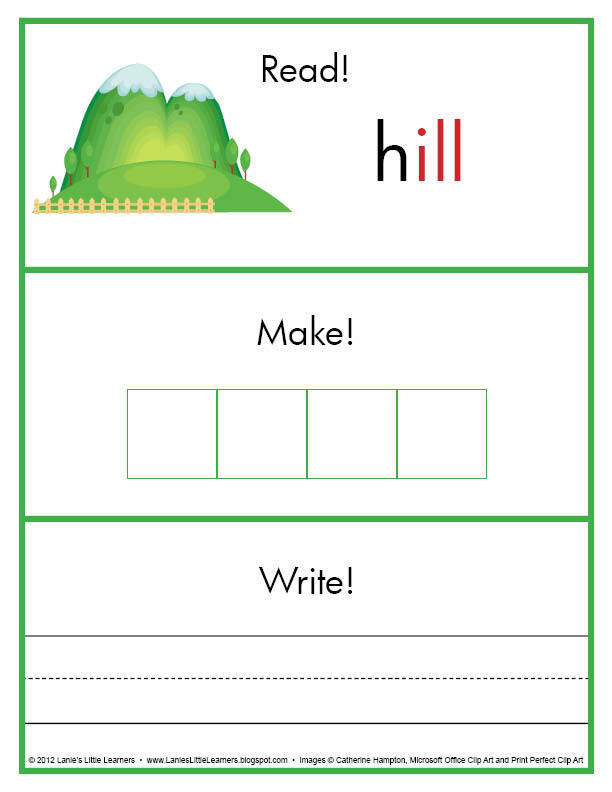 Lanie's Little Learners: Jack and Jill Resources are Finally Done! I have finally put the finishing touches on the Jack and Jill Resources. 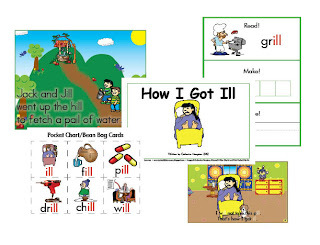 I have included Go Fish Cards, ~ill Rhyming Word Bingo, Rhyming Activities, Pocket Chart Cards/Bean Bag Cards, Train and Caboose illustrating how the engine changes but the caboose (ending of the word stays the same). One note on the links to the downloads. I am using Microsoft's SkyDrive to upload and share the files. The only downside is if you decide to download a link it will ask you to sign in to SkyDrive or create an account. This service is free, that is why I am using it for now. I apologize for any inconvenience this may cause. 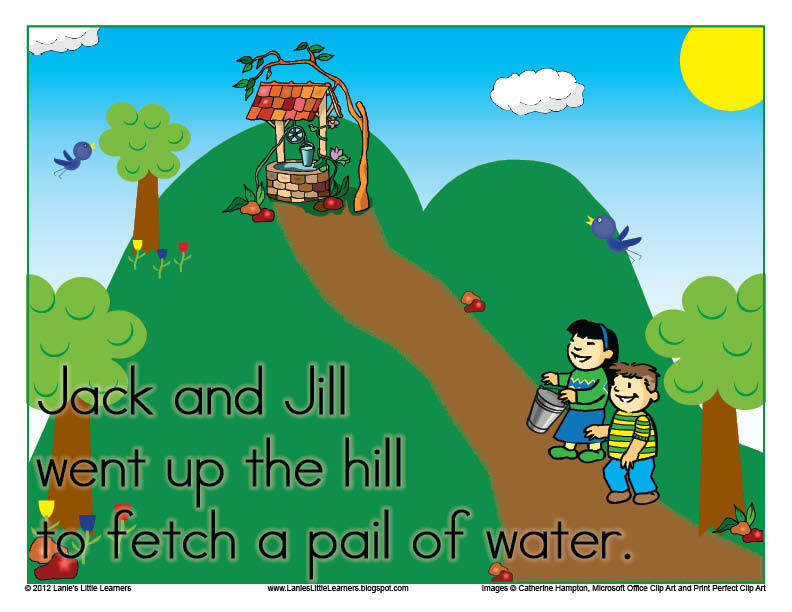 Jack and Jill Resources Book – Is a full color collection of hands-on resources to accompany the nursery rhyme Jack and Jill. 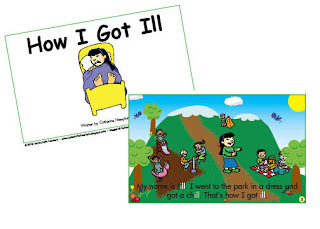 The resource book contains a (2) page full color poster illustrating the nursery rhyme. 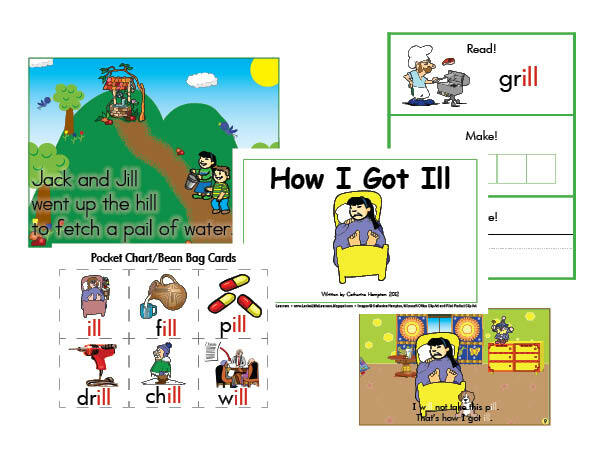 There are pocket chart word cards/bean bag cards, a full page of engaging activities to use with the Jack and Jill Resources. There is also, ~ill Rhyming Word Bingo, and the train and caboose illustrating the ~ill Sight Words. Jack and Jill Go Fish – Is a full color set of cards illustrating the vocabulary words, sight words, and ~ill rhyming words associated with the story. 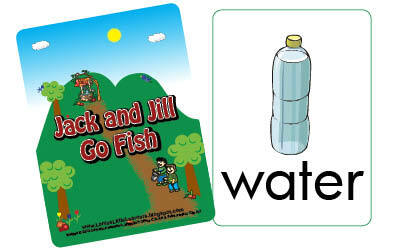 The Jack and Jill Go Fish Card game was designed to go along with the Jack and Jill Resource Book. How I Got Ill Book – Is a full color book using the ~ill rhyming words throughout the story. The book is designed to be printed front and back and then cut in half. Each book measures 5.5” x 8.5”. Read, Make, Write –Read! Make! Write! Read: Read the word together. Make: Use letter tiles or magnets to build the word in the second box. 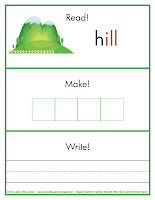 Write: Finally, practice writing the word in the bottom box. Print on card stock and laminate the pages for extra durability use the letter tiles that are included go along in the ‘making’ process. This idea was originally found at http://homeschoolcreations.com/Read_Build_Write_Printables.html. Originally created by Jolanthe @ http://homeschoolcreations.com. I have made modifications to the original idea to go along with the nursery rhyme, Jack and Jill.